Unbreakable, guaranteed. Virtual-Fly produces RUDDO Pedals with a superior commitment on durability. Its metal case with aluminum and solid steel parts as well as all mobile components are designed for a long lasting performance. Load Cells on differential brakes. RUDDO Pedals are equipped with load cells (pressure sensors) on its differential brakes so you don´t have to worry about exceeding strength applied to the pedals or loosing precision on its performance. Talking about innovation? 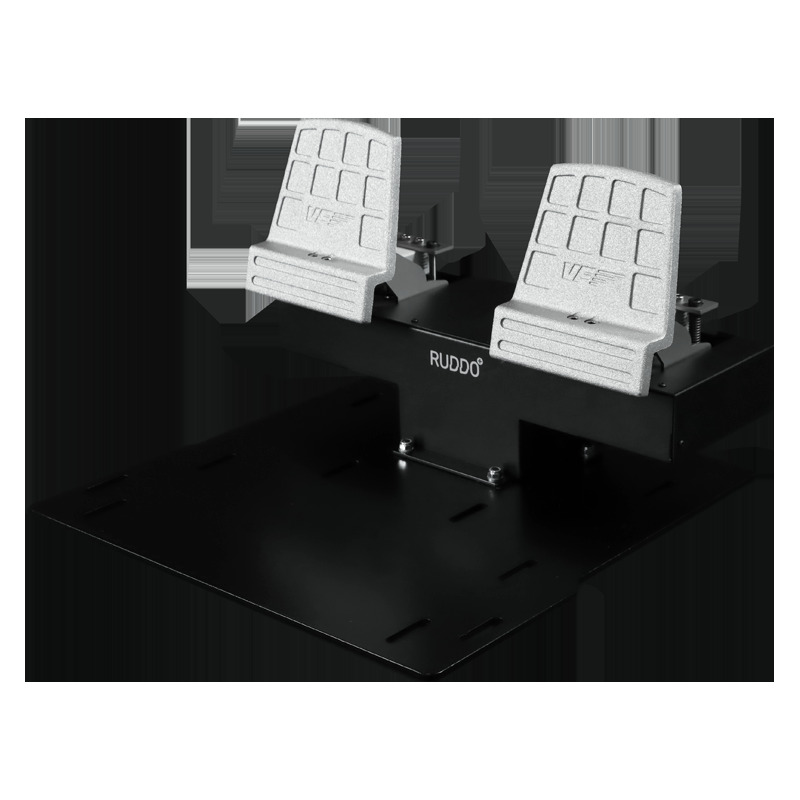 RUDDO PEDALS are equipped with load cells on its differencial brakes so you have no worries about exceeding strength applied to the pedals or loosing precision on its performance. Virtual-Fly made RUDDO PEDALS with a lifetime commitment on durability. Its metal case with aluminum and solid steel parts as well as all mobile components are designed for a superior and long lasting performance. Linear ball guide technology that offers you extra-smooth touches. For set-up, we provide you with a driver that connects directly with FSX or Prepar3D; however, this can be programmed like any other games device, using FSUIPC or the drop-down MFS/P3D menus. Length: 393mm. / Width: 400mm. / Height: 253mm. How do the pressure sensors (load cells) work and what are they used for? They are to create lifelike levels of realism, when you use a car, bike or scooter, etc.… to brake there is always a first movement that does not affect the vehicle’s braking too much; however, if you continue to press down the movement of the brake is less but the braking itself is much harder, as you are exerting more pressure. Pressure sensors also detect the movement of the pedals, but also the pressure that you exert on them. If brakes work by pressing them, are they moving parts?